22 November 2018 – Kick off the Christmas season with an environmentally friendly gift and pick up a free reusable cup from MBNA Thames Clippers, London’s River Bus service. 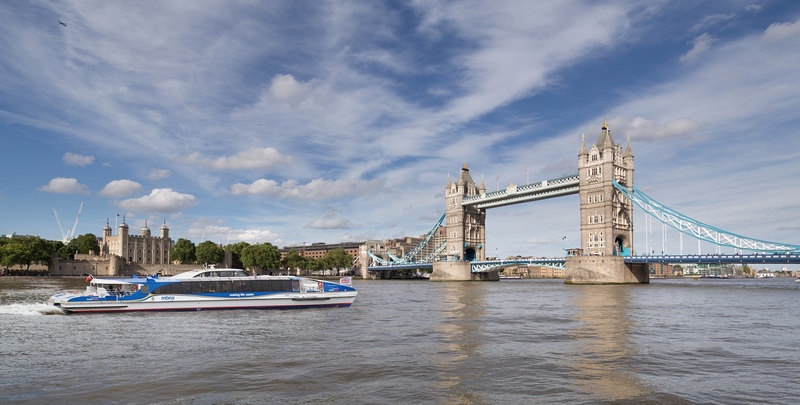 This offer is part of MBNA Thames Clippers’ Love Your Commute activity, which encourages Londoners to reclaim the dead time spent travelling to and from their place of work. On Thursday, 29 November, season ticket holders boarding morning sailings between 0730 and 0930 across RB1 and RB6 routes will receive an exclusive MBNA Thames Clippers-branded Ecoffee Cup with every purchase of coffee, tea or hot chocolate from the fully licensed onboard bar. With four in every 10 commuters (39%) needing a cup of coffee to get going in the morning, it is the perfect accessory to take on their everyday journey or use as the perfect stocking filler for a loved one eager to help the environment. The Ecoffee Cup (usually retailing from £9.95) is a new generation of reusable takeaway cup. Created with natural fibres, it is BPA and phthalate-free, dishwasher safe and has a re-sealable, no-drip lid. This reusable cup giveaway is the latest step taken by MBNA Thames Clippers to provide a more sustainable approach on board, following on from the replacement of plastic straws with paper straws and the introduction of wooden cutlery. MBNA Thames Clippers is London’s fastest and most frequent River Bus service, serving 22 piers with routes from Putney in the west to Woolwich in the east. Passengers can travel directly to key central London piers such as Westminster, London Eye (Waterloo), Blackfriars, Embankment, Canary Wharf, Battersea Power Station and London Bridge City. Weekly, monthly and annual season ticket options are available, with prices starting from £25.95 for a one week East or West Only pass. Commuting with MBNA Thames Clippers can work out as little as £2 per journey with the annual option. For further details on pricing, route maps, timetables and to purchase tickets visit www.mbnathamesclippers.com or download the MBNA Thames Clippers app.